CHAPEL HILL, North Carolina (WTVD) -- If you want to live like a former presidential candidate, the price just got a little cheaper. 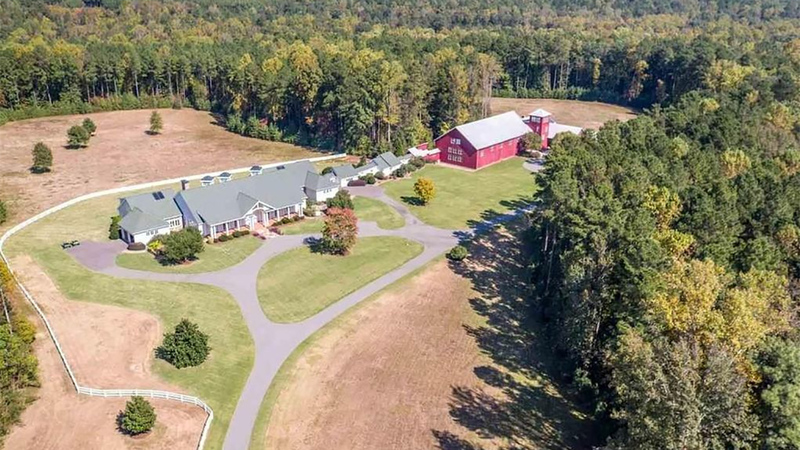 The asking price for John Edwards' Chapel Hill home has dropped to $5.9 million from the original $6.9 million asking price for the 102-acre estate. Edwards, best known as being North Carolina's former Democratic senator, a vice presidential nominee and presidential candidate, built the home with his late wife Elizabeth. "A breathtaking residence comfortably situated on 102 secluded acres just minutes from Chapel Hill and Carrboro. Custom built by Lane Davis, the home features a spacious, open kitchen/living area with beamed and vaulted ceilings, an impressive arched stone wall and fireplace; all accented with old-growth, wide-board pine flooring, A connected guest annex features a full indoor basketball court with UNC Tar Heel logo, enclosed pool, handball court, exercise room, 2nd kitchen, family room and 4 guest rooms." The property includes a UNC themed basketball court. The house also has 9 bedrooms and 11 bathrooms. Edwards moved out of the home in 2010 soon after his marriage was torn apart by his affair with Rielle Hunter.